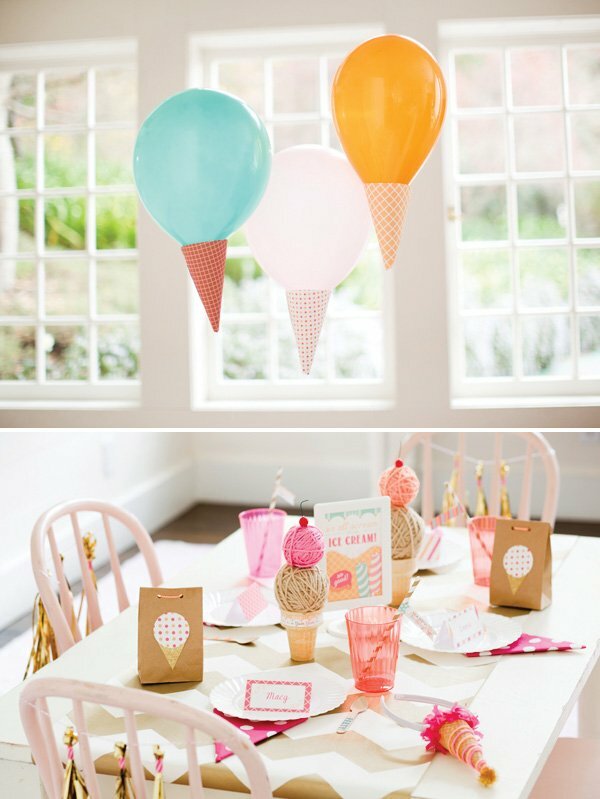 Yesterday Pottery Barn Kids released the Ice Cream Shoppe Birthday Party that I styled for them last month, so I’m super excited to finally share it with you today! 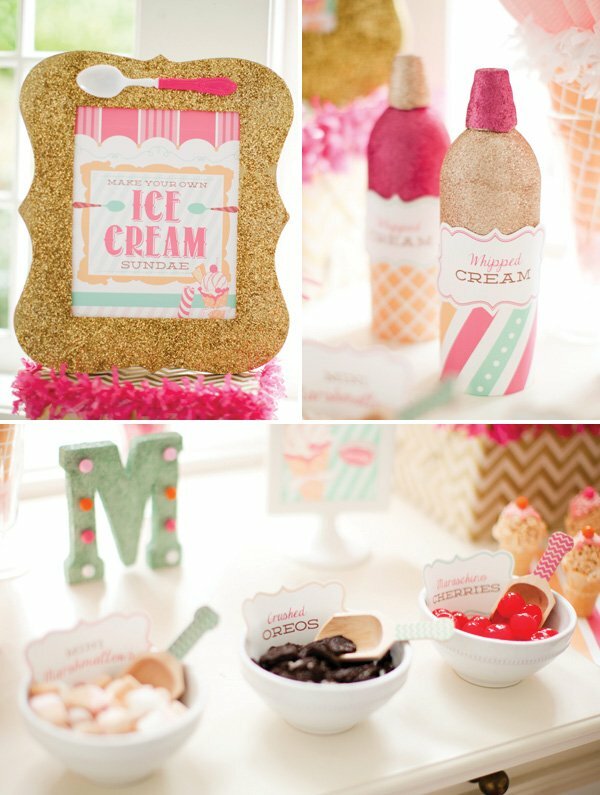 Ice cream is one of those things that can just instantly make people happy – speaking from personal experience at least ;) – so it’s the perfect inspiration for a party theme… my head was kind of spinning with all of the creative possibilities! 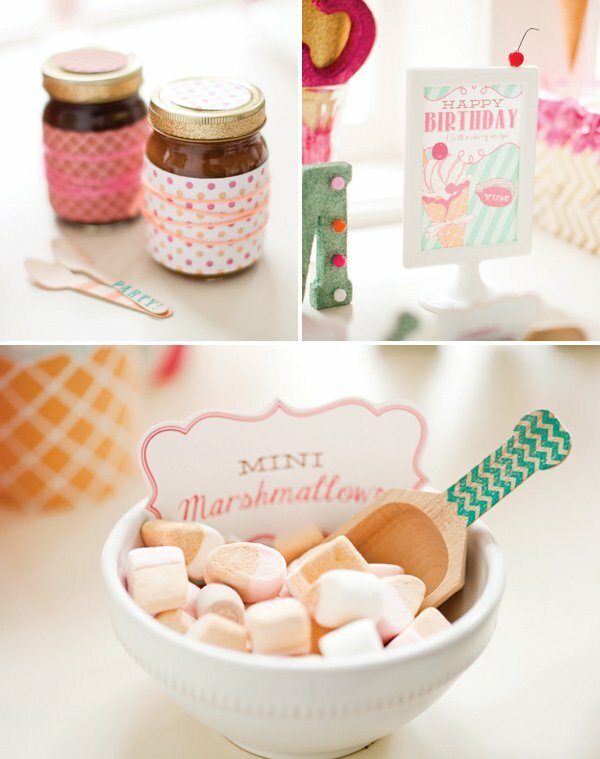 The final result has a bit of retro sweet shoppe style + a rainbow sherbet inspired palette with metallic gold accents. 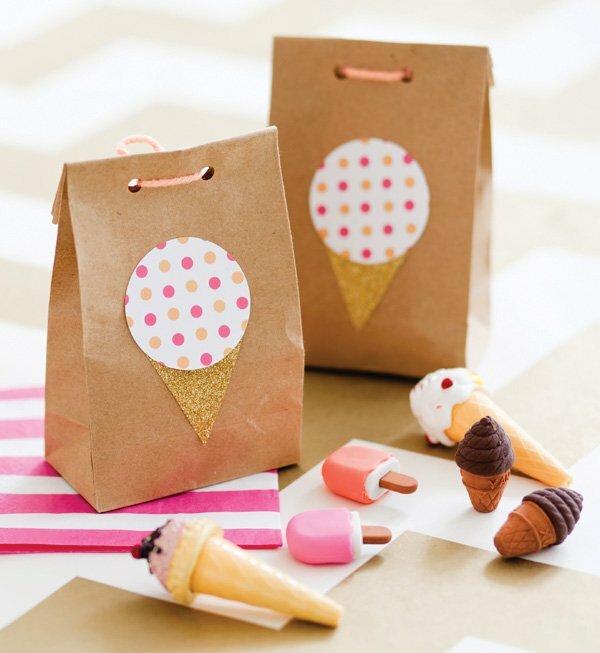 You can find all of the “how to” details and recipes from this ice cream party over on the Pottery Barn Kids website, and I hope you’ll be pleasantly surprised at how easy everything is to put together! If you have questions on anything though, I’d be happy to answer them here. And for the cherry on top… lots of FREE PRINTABLES! You can view and download them over at PBK as well. You can also download the whipped cream label and patterned papers right here. ENJOY! 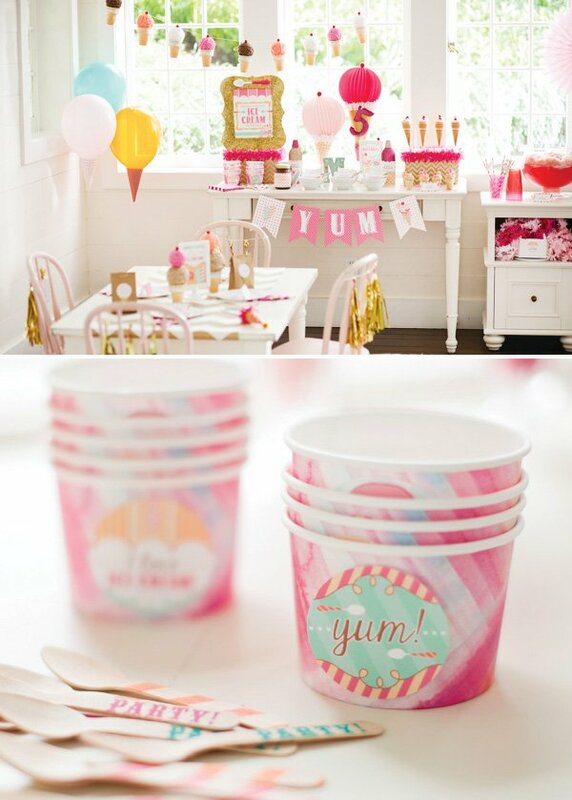 Love this love all the ice cream cone details. Really love that you covered the whipped cream can in glitter. That is pure awesomeness. Love the party. 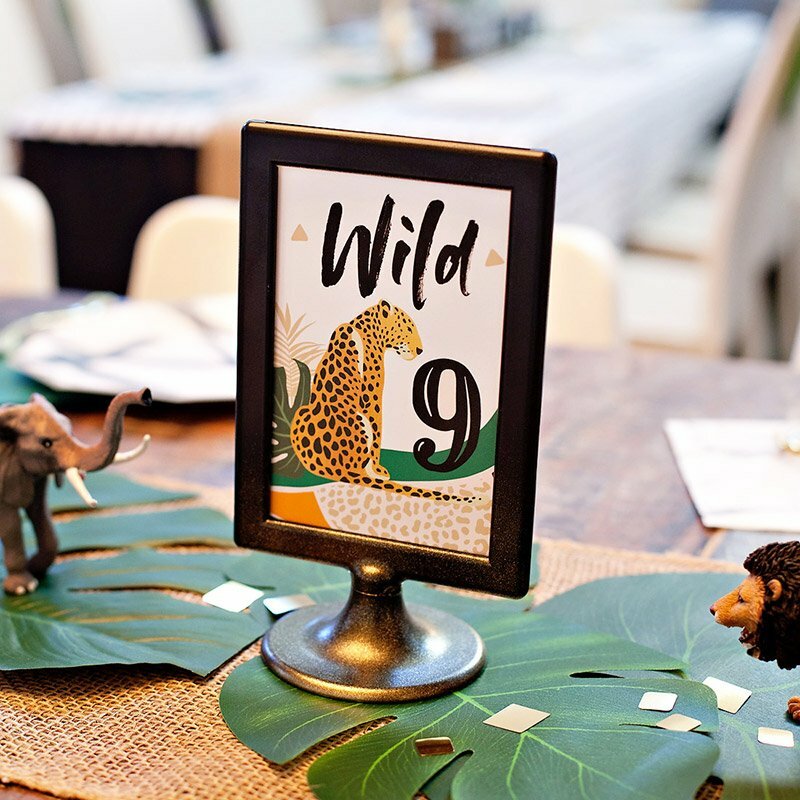 You did such a great job styling it and thank you for the free printables! Please consider doing boyish versions too, though! We actually did 2 themes for PBK, and the other one is a boy theme :) I think it’s going live in June! 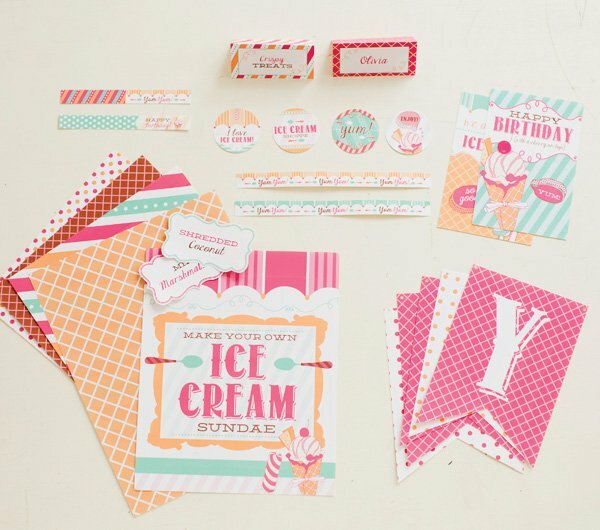 Your printable collection is just scrumptious! 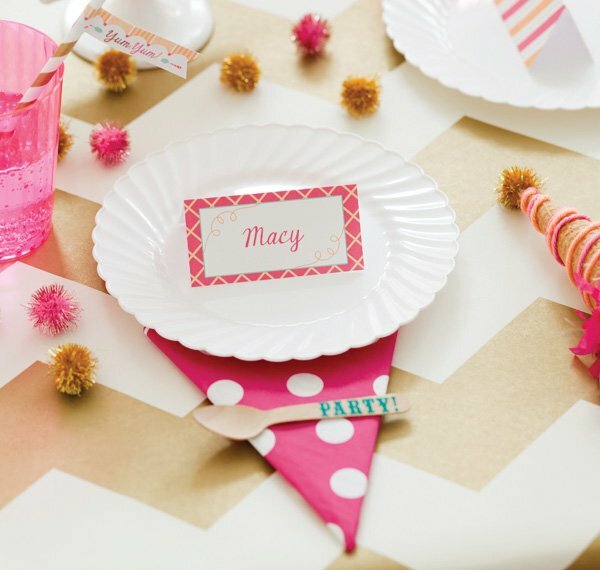 Every single party detail works together perfectly — from the yummy colors to the darling mix and match of dots, stripes, chevron, and waffle patterns! 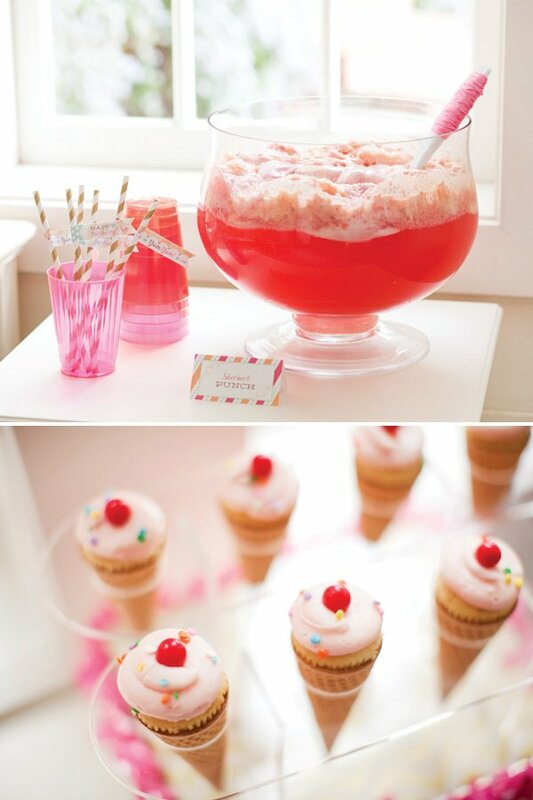 Wow, the party looks so cute! And the printables really stand out! Thanks for the kind words, Julia! What an adorable party! 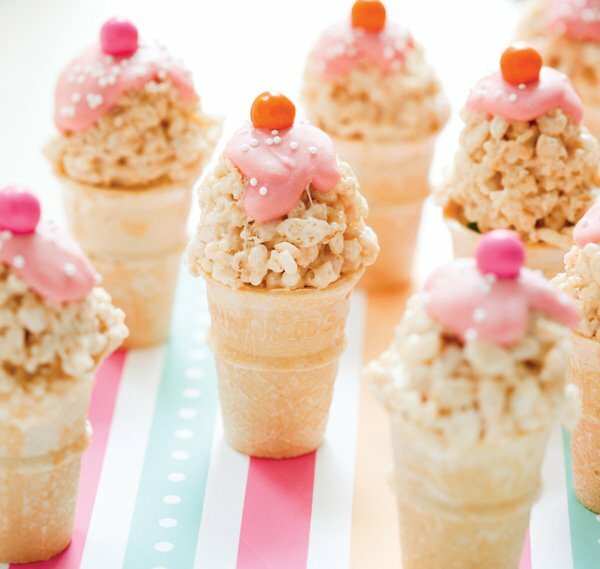 I love all the creative ice cream cone details! The glittery touches are so fun too! Beautiful Jenn Love love it! Thanks for the kind words, Rowaida! Amazing! 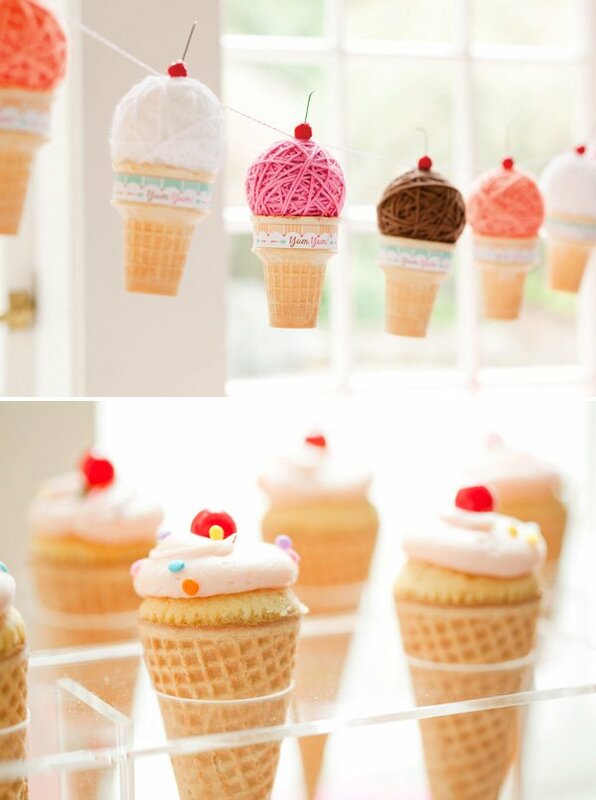 The yarn ice cream cone garland is my favorite! 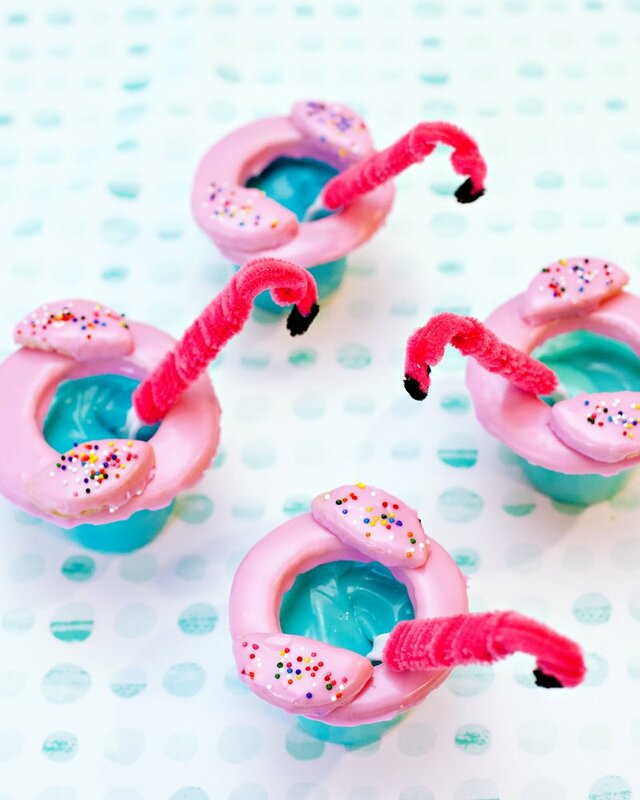 So adorable and fun!! This party is absolutely gorgeous, I love it. I’d be pretty happy having this as a girls night in!! I love this. Its the cutest theme I have seen so far. I wish I had done this for my daughters 1st birthday. 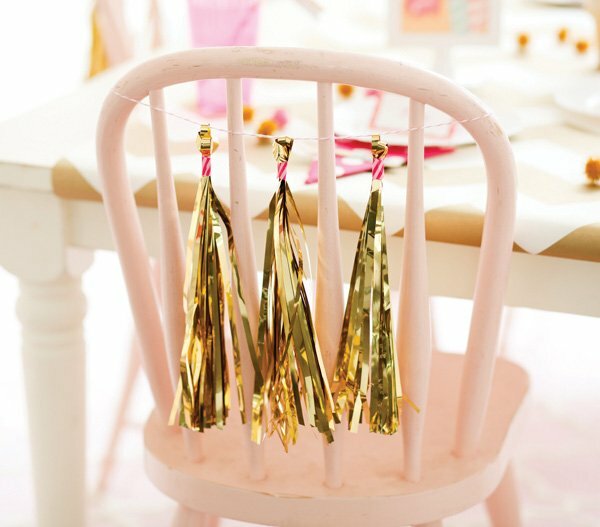 I am however totally doing this for my sisters baby shower, should we be getting another little lady. Beautiful job!, Very creative and fun! Love! Nice Post..!! Actually i am also trying to organize a birthday party actually a surprise birthday party for my son and looking some online event organizers for this. Thanks for sharing this..!! This is so adorable! 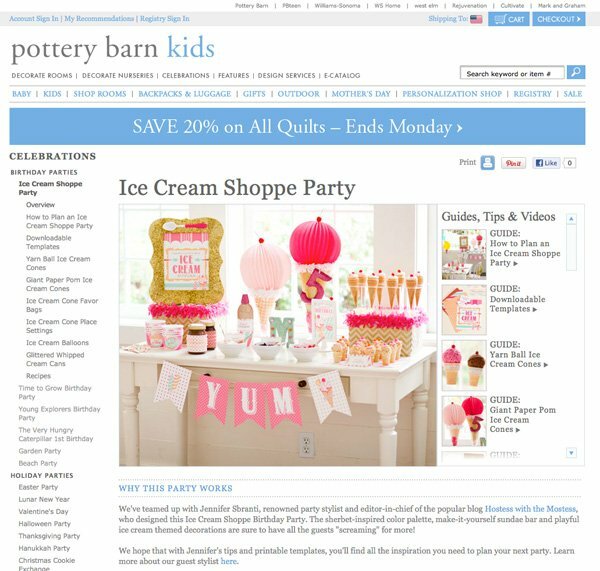 I saw it on Pottery Barn Kids and was immediately enthralled…and so was my 10 year old son who now wants an ice cream shoppe birthday party! LOL!! So, I’m using blue and green as my colors, but I’m stuck on the punch. Any ideas? Green lime sherbet with lemonade? That might be a bit mouth-puckering. :) Anything else? Thank you for all your great ideas! Good luck with the party! I don’t see it either, that’s strange! Head on over to our Etsy shop here: http://www.etsy.com/shop/HWTM?ref=seller_info and send us a message. 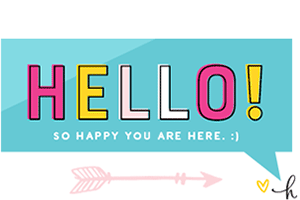 Our team member Renee will be happy to help you out ;) Thanks for checking out our printables! Jen, do you have this printable set in color that are suitable for boys and girls? 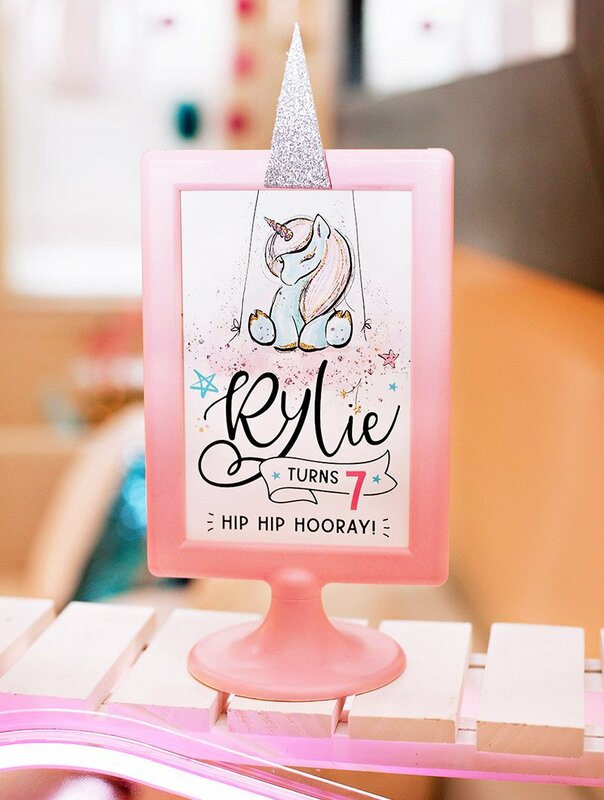 Too cute, thank you for sharing and the free printables. Would you happen to know where I can get that acrylic looking stand that holds the cupcake cones? 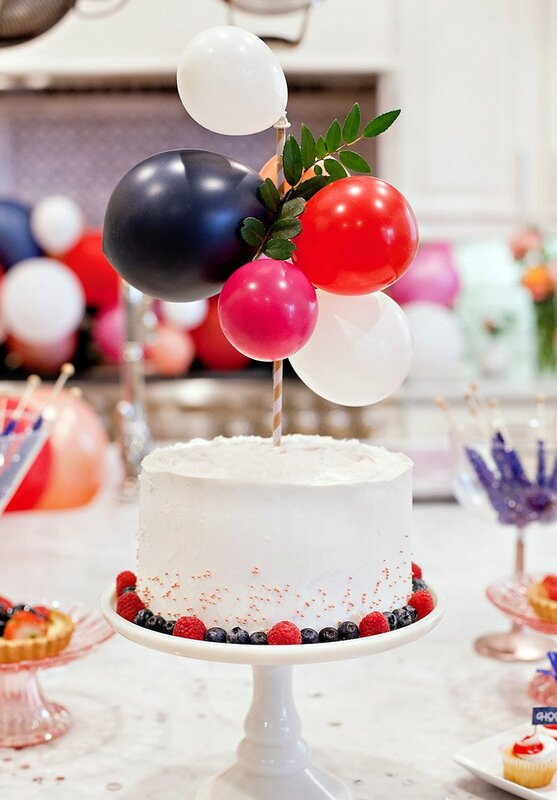 I hate to sound completely dense but for the life of me I can not figure out how to make the cones for the balloons. I have the patterned paper printed on standard 8.5 x 11 paper and every way I try to fold or cut is resulting in something really unattractive. I’m just not getting it! Can you help? You can try cutting a strip off the top so the sheet is more square, roll it tight (so the hole at the bottom is just large enough to fit a string through), then tape it on the inside to keep it tight. I hope that helped! Hi Sara, thanks so much! You directly downloaded the pdf from the Pottery Barn Kids website and tried to print, correct? We only have a couple of the additional free printables in this post, did those work okay for you. If they both don’t print correctly, I recommend checking your printer notifications and ink levels. Let me know how that works! Would me mind sharing what fonts you used for the topping cards? I’m throwing this party for my daughter in a couple weeks and wanted to customize the tent cards with some different toppings. Thanks! 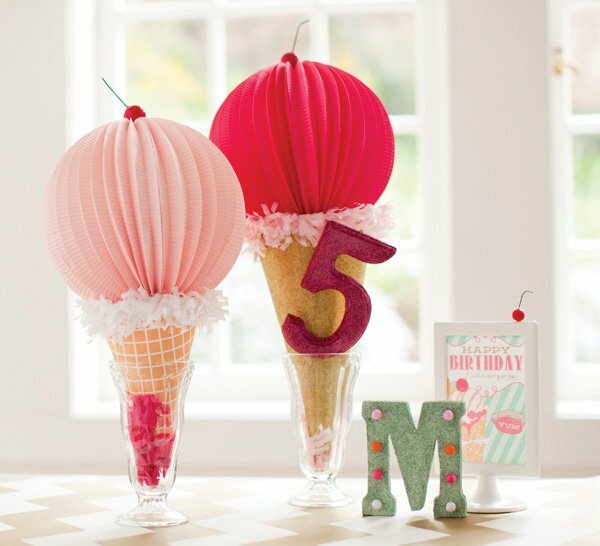 Where did you get the big round paper lantern things? 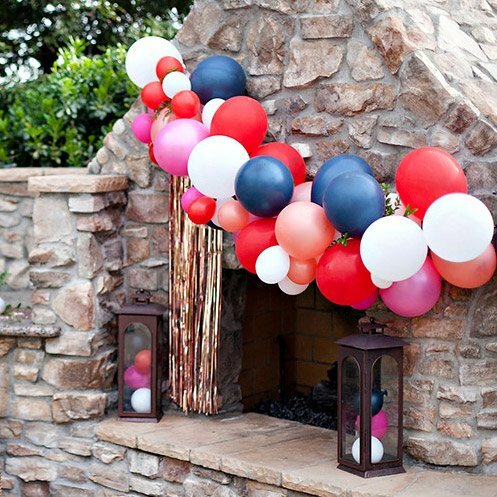 This is the theme for my daughter’s party this year and I love this! Quick question though. 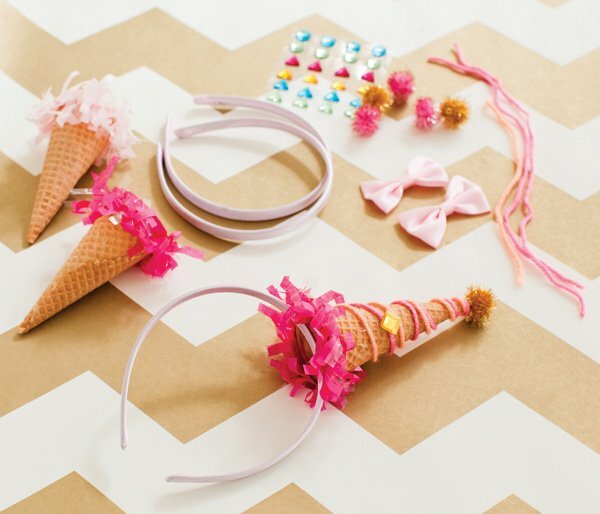 Where in the world did you get the cones for the ice cream cone garland. I can’t find them anywhere? Love this party! 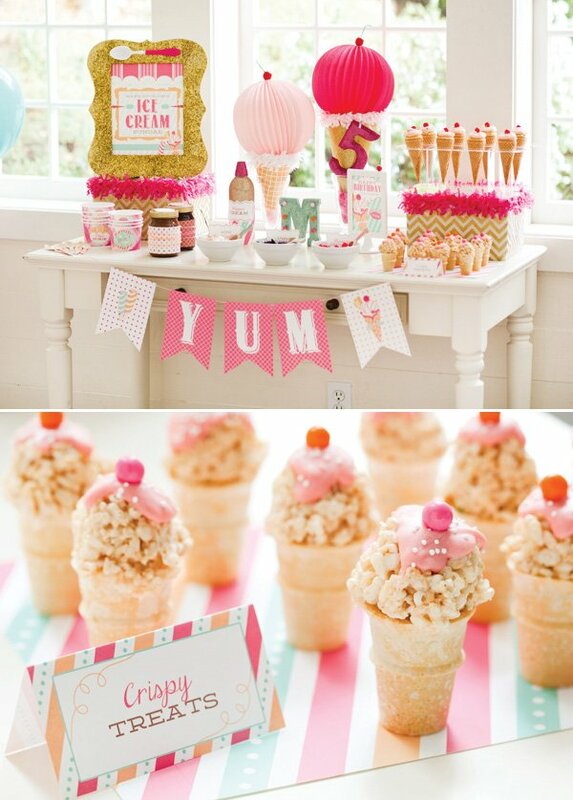 The crispy treat icecream are so creative and I love all the icecream decorations! Can you tell me what fonts were used to write Ice Cream? Thanks so much!